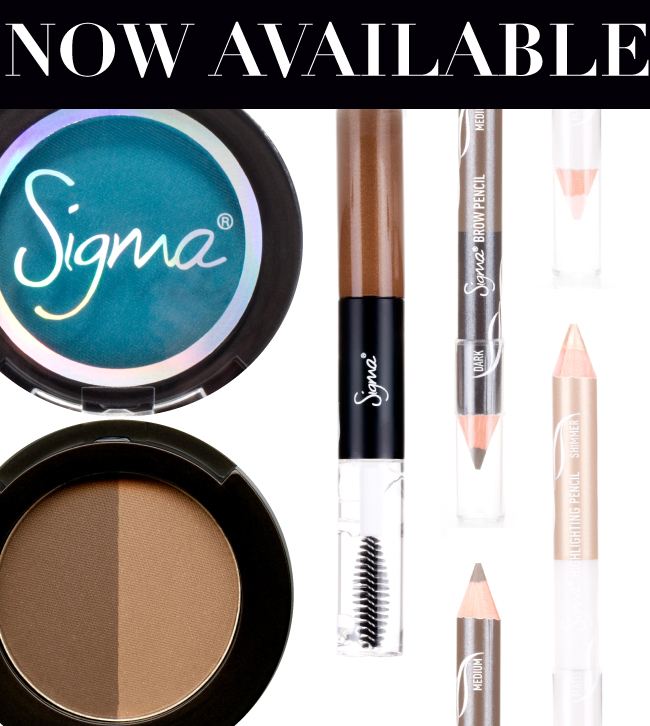 Sigma Beauty Blog: NOW AVAILABLE: Individual Products! The wait is over! Due to the high demand from customers, the much anticipated launch of our individual eye shadows and brow products is finally here! 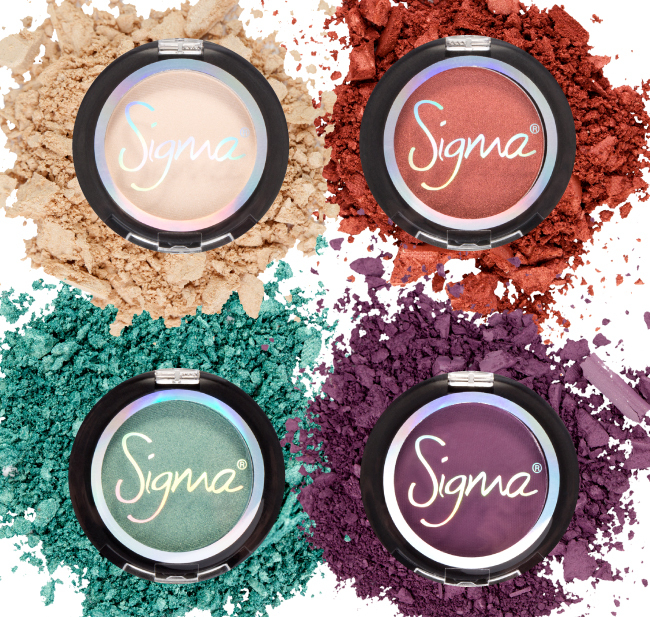 Sigma customers now have the ability to choose their favorite colors and items from various palettes and replenish these items when necessary. Keep reading to get a full list of the available products and learn more about them. The individual eye shadow collection features a versatile assortment of shades and finishes, all derived from our existing palettes. Each eye shadow is designed for a smooth application, rich pigmentation, and long-lasting wear. The vast selection of colors allows you to create a variety of makeup looks – everything from colorful and elaborate to simple and classic. Mix and match favorites to make your own custom collection! The individual eyebrow collection includes select items from our popular Beauty Expert – Brow Design Kit for all of the arching, shaping and grooming tools you need to create flawless and defined brows. Make beautiful brows an everyday part of your beauty routine! 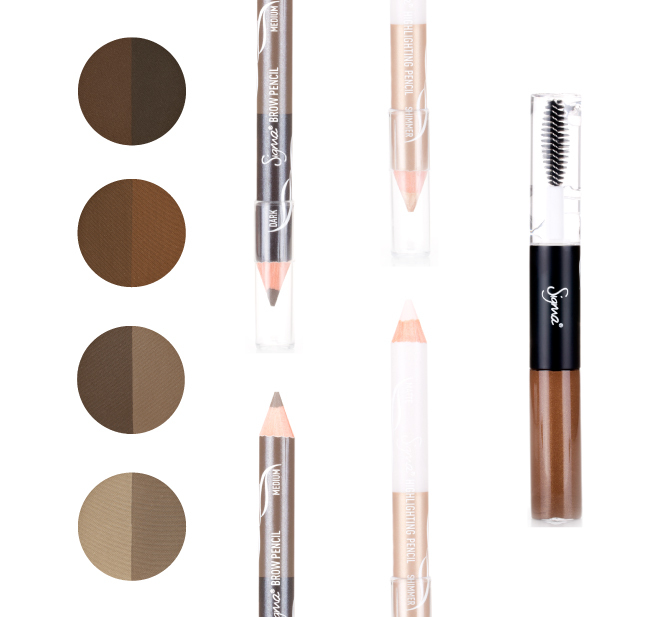 Dual-ended Brow Highlighting Pencil (matte / shimmer) – Accentuate the brow bone and define the brow’s arch. Use the matte side to create a soft highlight or the shimmer side to produce a subtle glow. Dual-ended Brow Pencil (medium / dark) – Define brows and add color. Applies product smoothly and blends easily. The medium shade suits light to medium hair; the dark shade is best for medium to dark hair. Dual-ended Brow Gel (clear / tinted): Keep brows in place all day. Use the clear gel for the most natural look or the tinted gel to provide added color and intensity. Brow Powder Duo – Create full, natural-looking eyebrows. Build further definition and intensity of eyebrows when layered on top of brow pencil application. Available in Light, Medium, Dark & Auburn. Now that you know all about the products, which ones will you be buying first?! Wow! This is so great! Now we can choose what we want and need! Thanks Sigma! I was just checking the individual products & noticed that no info has been given as to the volume of every product. It would be really helpful to know the amount of product we're getting for each specific item. I personally always weigh my options when buying cosmetics by considering quality, packaging & the specific amount of product I'm receiving for my money. For example, I know on average how much a Makeup Forever or MAC eyeshadow costs per gram, whether each is in an individual compact or just a pan. I'd use this to gauge if I'm getting a similar or equivalent price per gram from Sigma before purchasing any of the eyeshadows. Likewise the pencils (how many grams/oz), dual ended gel products (how many ml/oz does each item contain) and the brow powder (how many grams/oz). Yes - we will be adding the volume info for every product. Currently we are still in the process of finalizing each product page on our website, but that info will be available to you shortly. Thank you for your patience! Is it possible the blush colors from the Paris palette will be available as individual product too?